“When they fight, I go to my room and cover my ears. Why do they have to do that? They tell me and my sister not to fight”. “I want things to be like they used to be. My little brother comes into my room. He gets so scared…….me too. “ I want them to know how I feel but they might feel bad or get angry with me”. “I’m stuck in the middle…it doesn’t feel good”. These are some comments I’ve heard from children of divorcing parents over many years. It’s heartbreaking. Children love both parents, who are part of them, and share their parents’ pain. Children may be confused by what they see and hear. They feel disappointed or upset with their parents’ negative behavior. Typically, they won’t, or can’t, articulate their upset to their parents for fear of upsetting them. Divorcing parents struggle to hold things together during a very trying time. Because they can be preoccupied, many parents are unaware of what their children are experiencing. Divorce is a multifaceted and draining experience. It requires many transitions for the entire family. If you are considering it, or in the midst of it, you know that. There may be a number of major transitions in your life. You may need to move, change your child’s school or get a job, even if you have been out of the workforce for a long time. Living on your own may mean having to take on tasks that your partner/spouse took care of. Entertainment can be impacted as well, including few extracurricular activities and vacations, dining out less and fewer indulgences for all. There may be shifts in how you relate to in-laws or how they relate to you. Sometimes ‘couple’ friends choose one partner and withdraw from the other, which may also affect children. If your spouse is involved with a new partner, there will be a period of acclimation for all. Even though your children may like the new person, there are often loyalty issues to their bio parent. Many of children’s feelings depend on how their parents feel and handle the situation. “If I like Mary, will mom feel bad or be upset with me?” “If David plays ball with me, how will dad feel”? In a blended family situation there will be new and different family rituals and rules to be absorbed by children…the time [and how] you eat dinner, rules of behavior, holidays and vacations to name just a few situations that require adaptation on every one’s part. If your partner’s or spouse’s new partner (or yours) has children, additional layers of adaptation need to be considered and managed. Children don’t cause divorce but they do have to live with its consequences. Confusion, sadness, anger, guilt and feeling lost and powerless are some of the feelings expressed by children living through divorce and its aftermath. Parents need to protect their children from having to do the hardest thing of all – choose between them. One way to protect them is to minimize or eliminate the negative and angry aspects of the divorce experience. If parents don’t create two sides, children don’t feel conflicted about having to take a side. It’s important for them to feel safe and be able to hold on to cherished family memories as the family transforms. Single or shared parenting is a new and challenging experience, for parents and children. If your spouse/partner relocates farther away, you may find yourself with most of the parenting responsibilities. You long for your children when they are with the other parent. Your children may be missing one parent much of the time, especially initially. If you live near the other parent, your children’s needs, schedules and desires will be best served by flexibility on the part of both parents. There are so many ‘ifs’… cooperative co-parenting is crucial! One of the benefits of collaborative divorce is that stressful transitions can be eased. The level of divorce related tension is largely determined by how you and your spouse/partner navigate the experience. When you work together, with dignity and respect, everyone feels more comfortable – family members, in-laws, other couples and friends in your sphere but, most important, your children. As you and your spouse/partner make decisions together, with the assistance of experienced and understanding professionals, in a safe environment, your joint efforts to put your children first will generate priceless rewards. The child specialist is a licensed professional who has expertise in working with children, adolescents, adults, family systems and divorce. S/he is knowledgeable about the emotional and cognitive development of children and can provide answers to your questions and guidance, as needed. Child specialists are experienced in gathering information and sharing recommendations with parents that are specific to each child’s personality and needs. 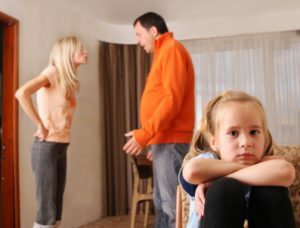 Having been trained in mediation and collaborative divorce, in addition to fulfilling the requisites of their clinical professional licenses, they are well qualified to help you create a Parenting Plan, which covers all aspects of your children’s needs following the dissolution of a break-up or divorce. The child specialist is a member of the collaborative divorce team who first meets with both parents to gather background information on the children’s personalities, predilections and possible problems. He/she will want to know what the children already know about the divorce and how the parents have dealt with, or plan to deal with, the situation. S/he can advise you on how to tell the children about the change in your family and how to prepare them to meet with the child specialist. Parents often seek guidance on the best way to inform their children, about separation, and/or divorce. The child specialist’s role is to understand what is especially important and meaningful to each child and share that information with parents. S/he educates parents about the impact of divorce and family transition on their particular children, given their ages, personalities and established relationships with each parent. Working with both parents, the child specialist tailors the Parenting Plan to each family’s specific needs. Cooperative co-parenting, at all times, is basic to insuring continuity, consistency and emotional security. The children’s contact with the child specialist is often brief and focused. They are seen individually and/or together, as appropriate, in a gentle and friendly manner. They are helped to understand that they are their parents’ priority and their input is important to their parents although it is their parents’ responsibility to make decisions. The child specialist can also be available, if child related issues arise, following divorce. “I got punished a lot so thought it was my fault that mommy and daddy were getting divorce. Now I know it wasn’t my fault, just something between them. I don’t know what – they said it was grown-up stuff”. Ah, music to my ears!